DENT-TOV - Dental, Medical, Foot & Beauty-care products. All trays are to be used ONLY in combination with certificated EU disinfecting & cleaning solutions. Do NOT use in combination with any aggressive/corrosive solution to any plastic materials. All trays are being produced in the EU!!! 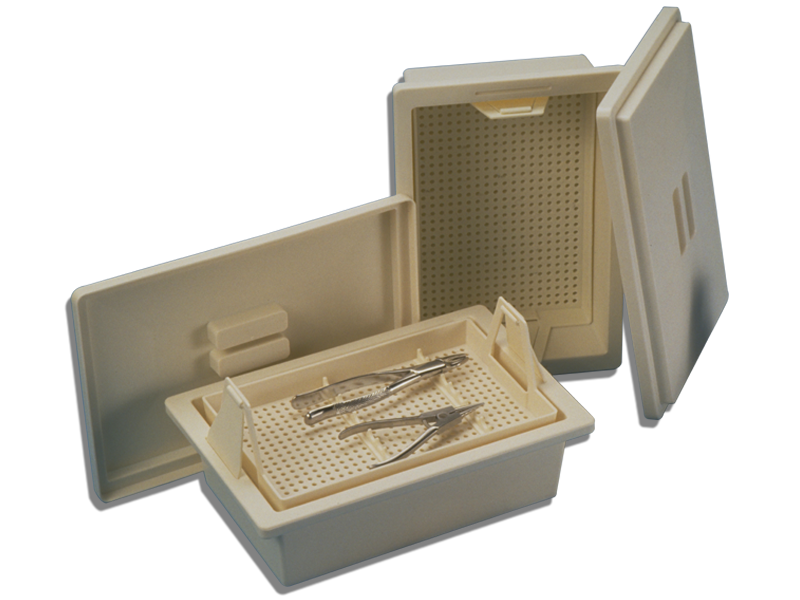 Plastic tray (steam autoclaveble till 124degree C) with lid and removable perforated inner basket. Basket size is 18cmW x 28cmL. Private label (logo/name on lid) is possible. Single packed in carton box (900gr). 12 trays in one transport carton (75cm x 53cm x 46cm / 15kg). 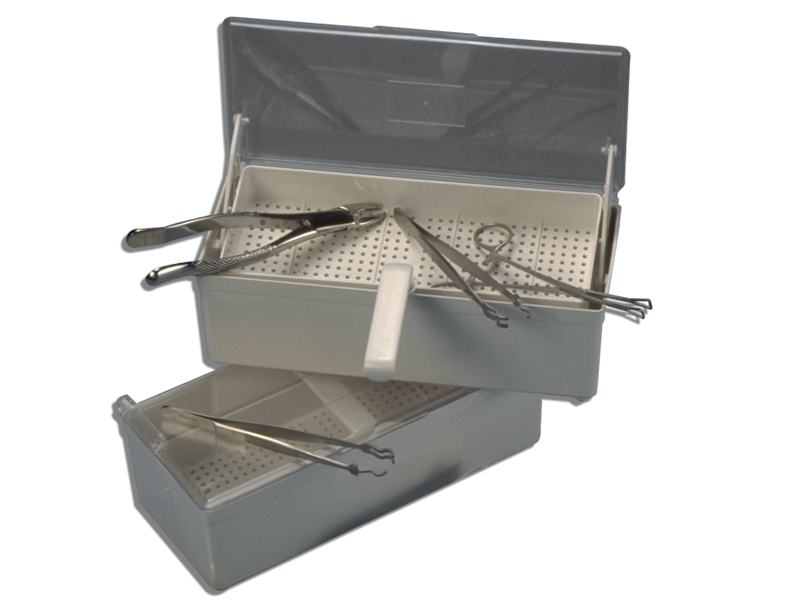 Plastic tray with clear lid and removable perforated inner basket. The basket will be lifted when the lid will be opened. Basket size is 8cmW x 23cmL. Single packed in carton box (400gr). 50 trays in one transport carton (67cm x 59cm x 49cm / 25kg). 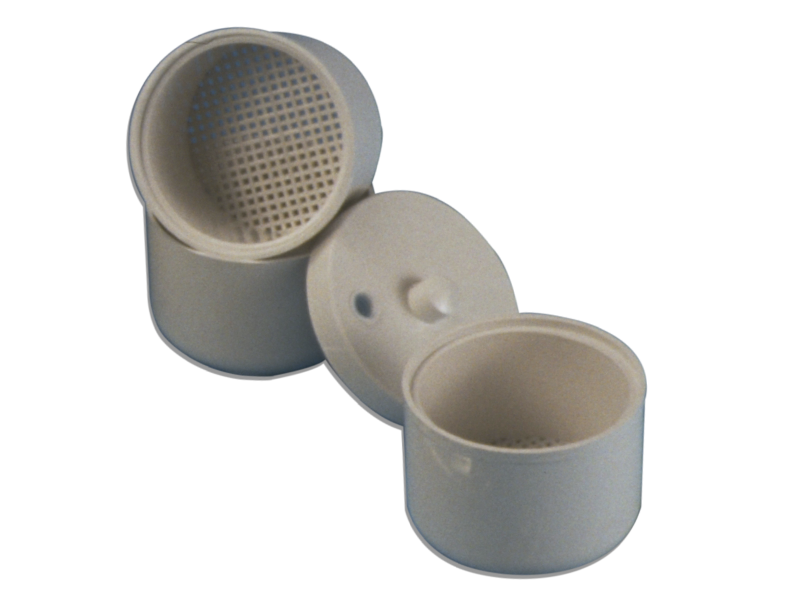 Plastic beaker with lid and removable inner perforated basket for disinfecting/soaking dental burs or small instruments. Basket diameter is 8cm x 5cmH. Single packed in carton box (80gr). 80 beakers in one transport carton (58cm x 40cm x 48cm / 10kg).